*Calypso Cay Vacation Villas V* is a Caribbean-themed resort playground for the entire family, with numerous swimming pools and water features, a lighted miniature golf course, and acres of fun. This resort is just a short drive from the many attractions central Florida has to offer, including Walt Disney World, Universal Orlando, and SeaWorld, and is only about an hour's drive from Busch Gardens, Kennedy Space Center, and world-famous beaches! Motivated Seller! 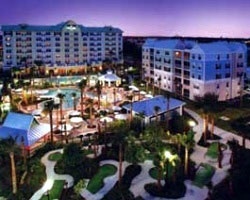 Great resort near the Orlando theme parks! Even year week 37 usage! Buyer may receive title fee credit! Reasonable offers considered! Ideal resort for your Orlando area vacations! Close to many exciting attractions! Floating week! Inquire for details!! 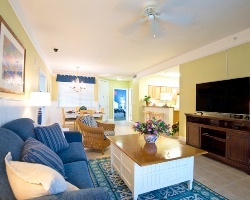 Resort is close to Walt Disney World and all major attractions! Week 46! Buyer may receive a title fee credit, inquire for details! New Year's week in beautiful & fun Orlando! Owner has prepaid closing credit; please inquire for details! 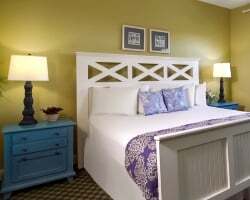 Caribbean style resort near the Orlando attractions! Yearly in April week 17! Buyer may receive a title fee credit; inquire for details! Spend week 37 each year in Florida! Caribbean themed resort! Buyer May Receive A Title Fee Credit, Inquire For Details! Caribbean style resort near the Orlando fun! Yearly February week 6 + 1 bonus week! Buyer receives complimentary closing credit; inquire for details! Great location close to major attractions! Suites have all the amenities of home! Buyer May Receive A Title Fee Credit, Inquire For Details! Great Disney Vacation opportunity! This large suite will accommodate the whole family! Annual usage during week 42 (can be transferred to another). Resort has a Caribbean theme but is based in Florida! Buyer May Receive A Title Fee Credit, Inquire For Details! This is a steal, price has just been reduced! Just miles from major attractions! Buyer May Receive A Title Fee Credit, Inquire For Details! Great week to enjoy the very best of the Orlando area! Buyer may receive a title fee credit, inquire for details! Ideal resort for your Orlando area vacations! 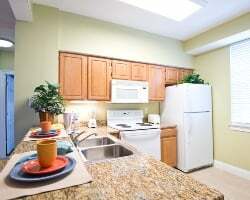 Close to the theme parks, golfing & more! Buyer may receive a title fee credit, inquire for details! Enjoy annual week 8! Come to Florida & feel like your vacationing in the Caribbean! Buyer May Receive A Title Fee Credit, Inquire For Details! Perfect spot for relaxing after a day enjoying the parks or hitting the links! Buyer may receive a title fee credit, inquire for details! Ownership is paid in full and is ready for immediate sale! Great summer week! Buyer may receive a title fee credit, inquire for details! Tropical resort with all major theme parks just a drive away! Inquire now! Ideal location not far from theme parks! Buyer May Receive A Title Fee Credit, Inquire For Details! Spring/Fall season week 40! Buyer will have immediate usage in 2018! Buyer may receive a title fee credit, inquire for details! Ideal resort for your Orlando area vacations! Close to many exciting attractions! Inquire for details! Great resort with beautiful suites! Suites have all the comforts of home! Buyer may receive a title fee credit, inquire for details! Pick your vacation dates and enjoy the very best of the Orlando area! Annual floating week usage! Inquire for details! Fantastic location for your Orlando area vacations! Close to theme parks, golf course & more! Buyer may receive a title fee credit, inquire today! Owner willing to consider offers! Exciting entertainment, dining, theme parks & more! Inquire today!